La Maja Desnuda, now with a padlock over a sensitive portion of her anatomy, at the very campy Cervecería Los Gatos tapas bar, Madrid. Curro Romero is the bullfighter. 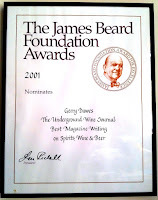 And those Irish, English, or German beer pubs, which every major city seems to have? 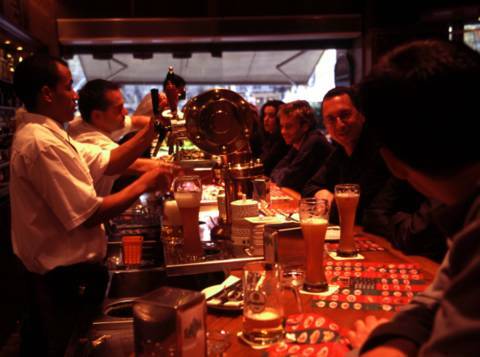 There are plenty of international-style beer bars such as Oldenburg in Madrid, which claims The Guinness Book of World Records title for most beers offered in the smallest space (163 beers in a bar that is 14.5 square meters [156 square feet]) and many others in larger cities such as Barcelona, where they are called cerveserias (Catalan). They offer a wide variety of beers from around the world and technically they are also cervecerías, but they certainly aren’t your typical Spanish cervecería. 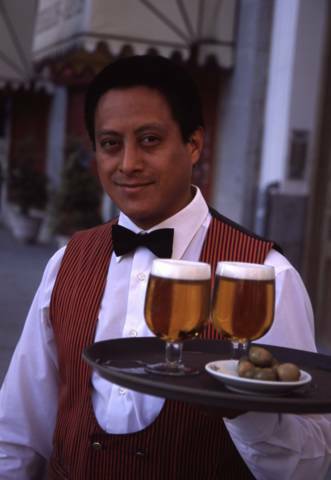 Waiter in Madrid with glasses of beer. The average Spanish cervecería would drive most American drinks writers crazy, because most cervecerías in Spain actually don’t make that much of a fuss over beer. In a typical Spanish cervecería, the selection on draft in most cervecerías is limited to selections from the company that paid for taps, which are usually emblazoned with the logos of one of the five major Spanish breweries (San Miguel, Cruzcampo, Damm, Mahou, or El Aguila). Cruzcampo, which was founded in 1904 and is now owned by Heineken (which also owns El Aguila), even has its own franchised string of colorful cervecería/tapas bar/restaurant establishments called Gambrinus, which is represented by drawings and statues of a jovial, portly, rather Alpine-looking, distinctly good-old-hombre kind of character lifting a beer stein. (The Gambrinus of legend was a 14th- or 15th-Century Burgundian, who is often referred to and depicted as the “King of Beers,” which will come as a big surprise to most Americans, who think the “King of Beers” is Budweiser.) 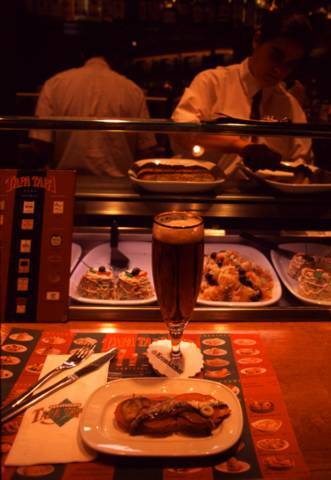 The very good, fast-growing, San Miguel-owned Cañas y Tapas franchise, which was founded in 1999 and already has some 20 outlets in the Madrid and more than 50 around Spain, features San Miguel on draft and excellent tapas. Spain has more than 20 national brands of beer and is the European Union’s third-largest beer producer (behind England and Germany) and ranks ninth in the world. 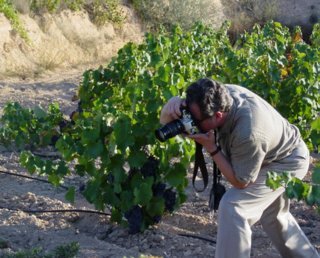 Spanish beer exports have nearly doubled over the past six years, but full-blown beer connoisseurship has not yet descended on Spaniards - - as wine geekdom has (this, too, has changed over the past decade; there are many more beer bars specializing in Spanish and European artisan beers now). Nevertheless, most Spanish beer tastes great, especially if you are the type who doesn’t lament that you are not drinking Guinness, Chimay, Fischer, etc. 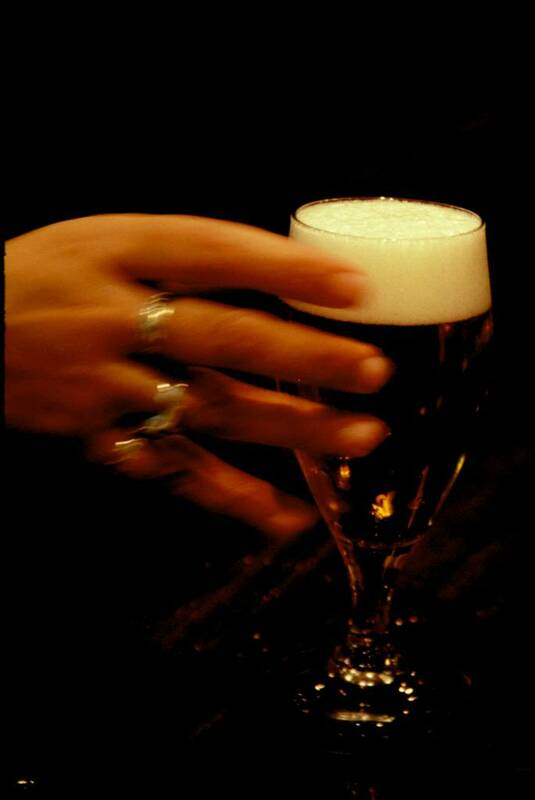 In a cervecería, Spanish beer is normally served chilled in cañas (short water-glass style quaffs). [If you want a bigger beer simply ask for a doble (a large wider-mouthed glass) or a tanque (tankard, a larger mug or stein); for a dark beer, cerveza negra.] 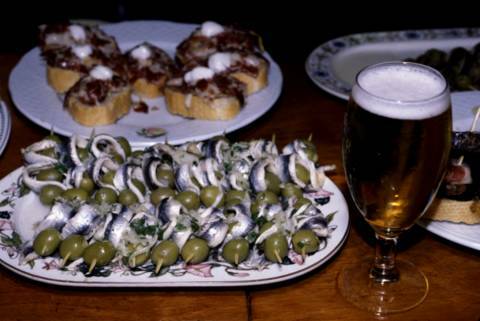 A Spaniard will pop in to a cervecería and order a caña, which will probably be accompanied by a little oval dish of green olives and/or potato chips, sometimes house-made. Woman's hand reaching for a beer. He or she (women of all ages frequent cervecerías for a refreshing caña) will sip their beer, munch on the olives and potato chips, and move to wherever it was they were going before they got thirsty. A caña is just a quick pick-me-up and thirst quencher. 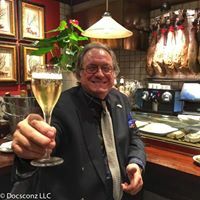 Pairs will come in, order a round of beers and a couple of tapas, then move on to the next bar, which may be another cervecería or a tasca specializing in tapas and wine, at which point they may switch drinks. Groups tend to settle in at a table, order a round of beers, a couple of glasses of vino and a few raciones, larger group-sized portions of tapas. Then they set about slaking their thirst, holding the hunger wolf at bay, and getting down to the serious business of the tertulia—shooting the breeze. The topic of conversation most certainly will not be a discussion of the merits of various brands of beers or grousing about why the joint doesn’t offer 163 different brands. Cervecerías are easy to find in Madrid, Barcelona, and any town of any size in Spain (and the Cañas y Tapas and Gambrinus franchises are spreading like foam out of a fresh beer tap), but a good place to get acquainted with cervecerías is Madrid, where these beer halls have a long and warmly regarded, communal history. An excellent place to begin is La Plaza Santa Ana—one of the Madrid’s most famous squares. The plaza and the streets surrounding it are home to some of the capital’s most colorful and convivial cervecerías. Plaza Santa Ana is located just a few blocks west of the Prado and Thyssen-Bornemisza museums, and the Ritz, Palace, and Villa Real hotels. It is in the old literary district where Miguel de Cervantes, the author of Don Quixote, and Lope de Vega, the Spanish Shakespeare, lived. Back in the 19th Century, because of its beer halls, this lively square was popularly known as Plaza de la Cerveza (Beer Plaza). 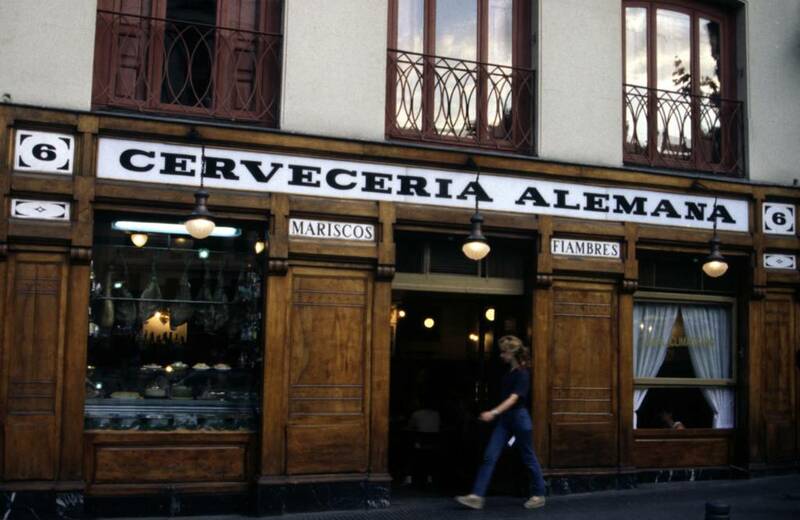 From the number of cervecerías now on the plaza, Plaza Santa Ana could still claim that title. Plaza Santa Ana is bordered on the east by the Teatro Español (Spanish National Theatre) and on the west by the now modernized Hotel ME Reina Victoria, once the epicenter for the bullfight crowd during Madrid’s San Isidro festival each May. But it is the beer halls with their outdoor sidewalk seating along the south side of the plaza, which will get your attention since they are usually filled with attractive people from across the spectrum - - locals, students, tourists - - sampling tapas and sipping beer. As you come west up Calle Prado from Plaza de las Cortes, where the Spanish parliament (or Cortes) is located, the first bar you will encounter on this row is the Cervecería Alemana, a colorful Madrid institution founded in 1904 and celebrated as an old Hemingway and bullfight hangout. 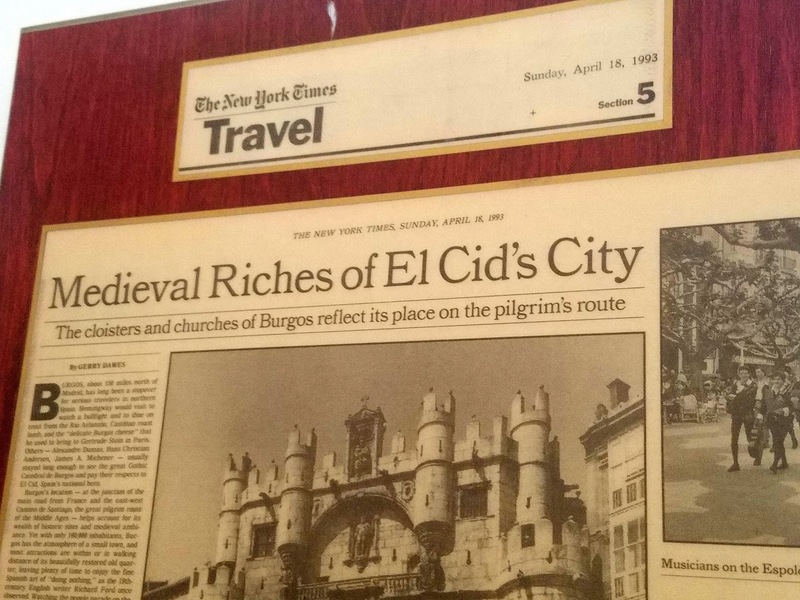 The marble-topped tables, crusty veteran waiters, and taurine photographs on the wall capture the atmosphere of old Madrid. Ask for una caña de cerveza (you will automatically be served a glass of draft beer) to go with a ración of almejas a la marinera (great Spanish Manila-style clams in a rich, savory sauce), calamares a la romana (deep-fried, battered squid rings), or ensaladilla rusa (“Russian”-style potato salad), all of which are classic Spanish tapas. Just up the sidewalk is the much newer Naturbier, a fashionable cervecería, which brews its own beer in what was the cellar of an old convent and serves it on draft with tapas such as Galician empanadas (a pie-like pastry stuffed with meat or fish), excellent Catalan sausages, and cured anchovies on toast. Cerveza y "gildas," anchovies, olives and guindilla peppers on a toothpick, San Sebastián. Naturbier’s next-door neighbor is another good beer bar, Cervecería Santa Ana, which also has sidewalk tables where you can drink cold draft beer with mostly delicatessen-like cold tapas—a tabla de embutidos (a platter of good Spanish cold meats such as chorizo, salami-like salchichón, jamón serrano [Spain’s superlative cured mountain ham], and cecina [a cured beef ham specialty from northern Spain]; a selection of Spanish cheeses; and such standards as delicious boquerones en vinagre (marinaded fresh anchovies). 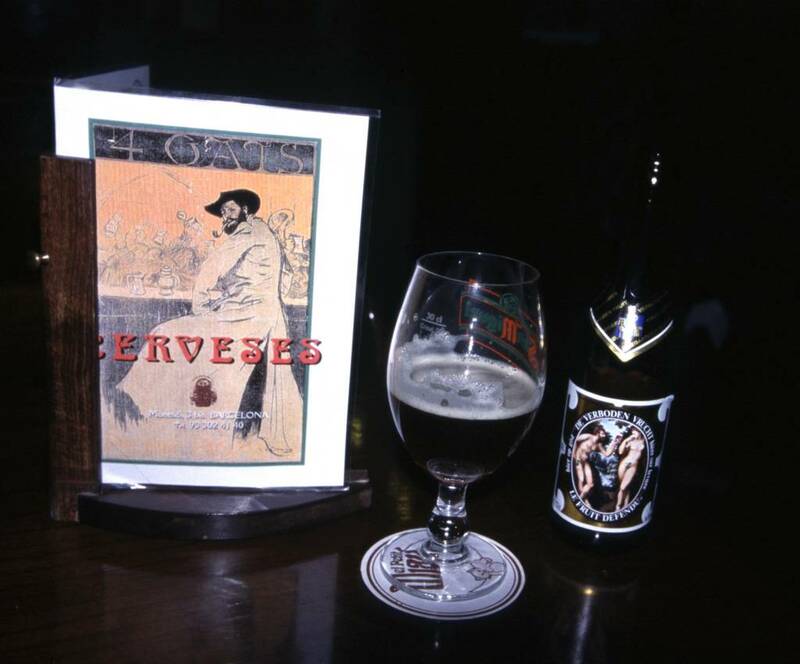 This cervecería also has a wide-ranging international selection of bottled beers. 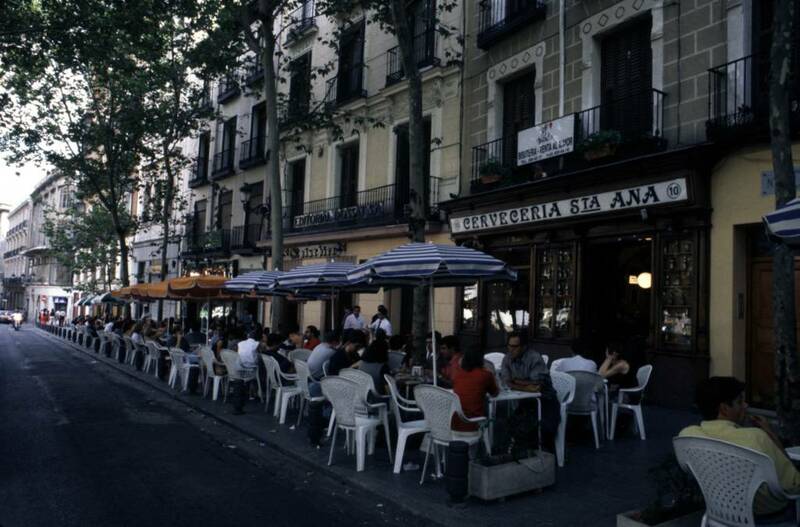 A few feet further up the sidewalk towards Hotel Reina Victoria is La Moderna, which bills itself as a cervecería, but is also one of Madrid’s best wine and tapas bars. 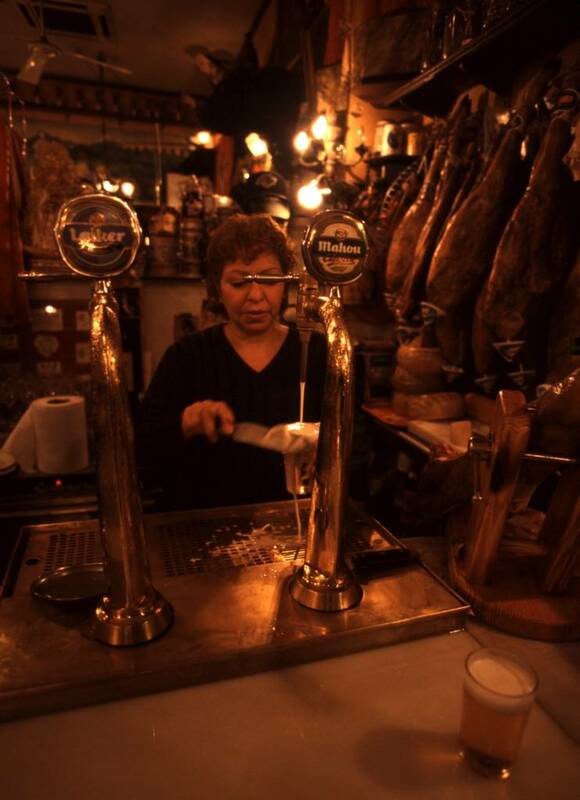 La Moderna does serve good draft beer, but it also specializes in Spanish wines and food items such as cheeses, olives, and sausages with specific denominaciones de origen (Spain’s equivalent of France’s appellation controlee system for guaranteeing authenticity and quality). La Moderna’s wine-bar style offerings include many difficult-to-find and up-and-coming wineries. They also serve a wide variety of creative single-portion tapas, not just racion-size portions, so you can sample of number of different dishes here. The tapas bars of the Plaza Santa Ana will get you started. 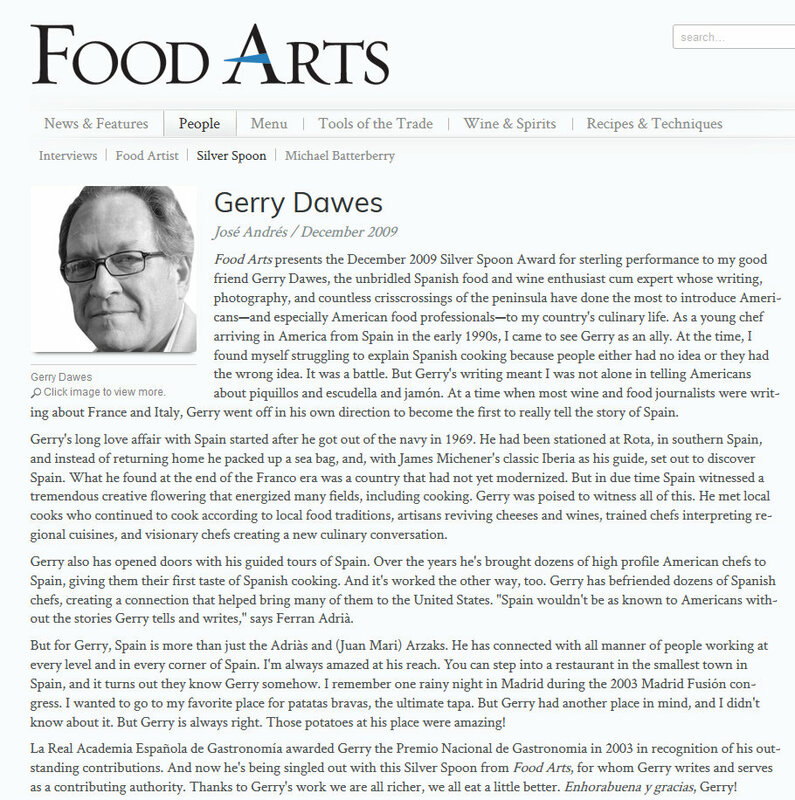 Making the rounds of Madrid’s cervecerías, is a fine introductory course in Spanish food, tapas, and Spanish and European beers. The cervecería scene in Madrid is great fun and the bites of food that accompany the good, cold Spanish beer fortifies you for a long evening of pub hopping and is of a very entertaining and civilized way to drink. 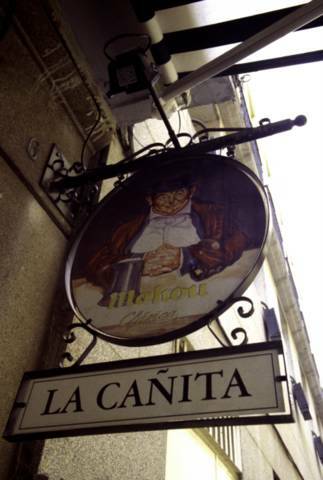 Just off the Plaza Santa Ana in the surrounding calles (streets), Huertas and del Principe especially, are at least 30 or more cervecerías that also serve tapas. Just a few blocks east of Plaza Santa and a block west of the Prado Museum is the Plaza de Jesús, which has several more very colorful cervecerías (see listing). There are hundreds more scattered around Madrid (see listing for other selected cervecerías in Madrid and Barcelona). The Gambrinus chain of cervecerías also offers a short list of international bottled beers, including Desperado, which is describing as having “the aroma of Tequila.” My advice is rather than be that desperado, just do what the average Spaniard does, order a cerveza de barril and take what comes out of the tap. Cervecería Alemana, Plaza de Santa Ana 6. 91 429 70 33. Cervecería Santa Ana, Plaza de Santa Ana 10. 91 429 43 56. Cervecería Naturbier, Plaza de Santa Ana 9. 91 429 39 18. Cervecería La Moderna, Plaza de Santa Ana 12. 91 420 15 82. Cervecería Los Gatos, Plaza de Jesús 2, 91 429 30 67. A very colorful, cave-like, taurine motif hangout a couple of blocks from the Prado. Cervecería La Dolores, Plaza de Jesús 4. 91 429 22 43. 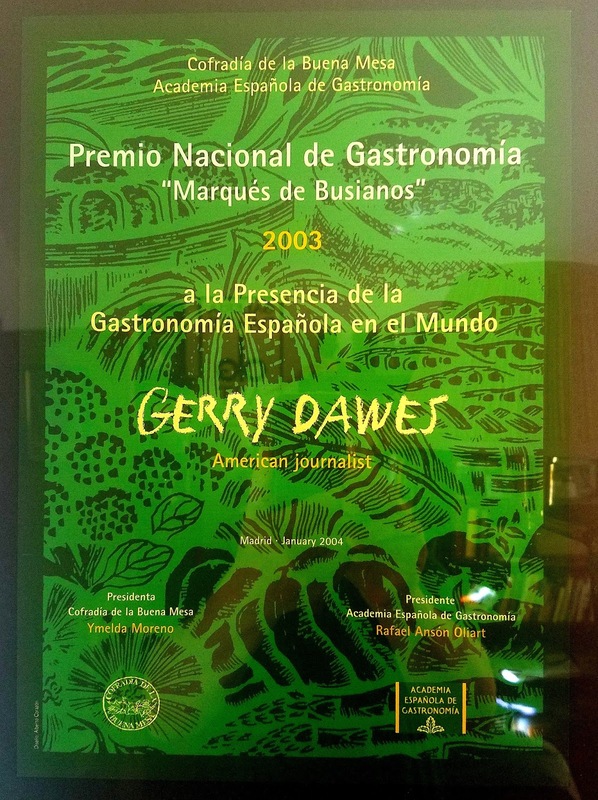 A Madrid classic with a great tile façade, good tapas, and an attractive evening crowd. 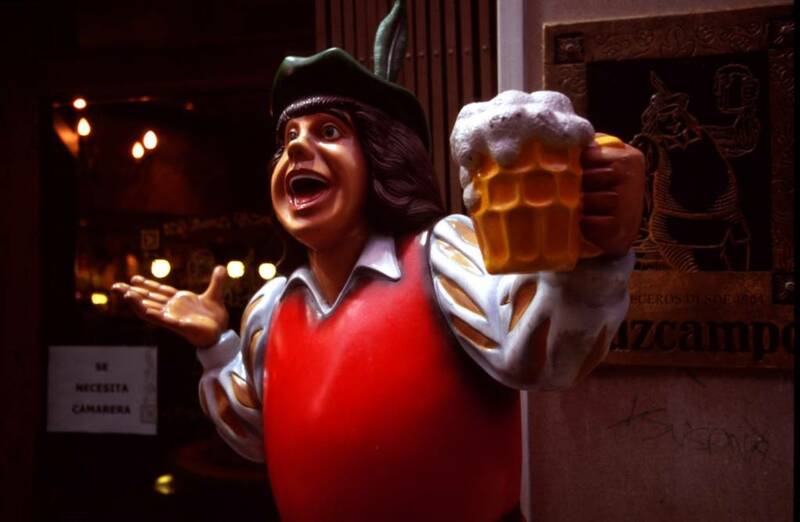 Cervecería Cervantes, Plaza De Jesús 7. 91 429 60 93. Another in a string of good beer-and-tapas bars on this street. Cañas y Tapas, Atocha 42 (and some 20 other Madrid area locations, see www.tapaspain.com; Nuestros Tabernas section for listing). Central reservations number: 902 18 09 18. Cervecería Correos, Alcalá 55. 91 578 21 31. 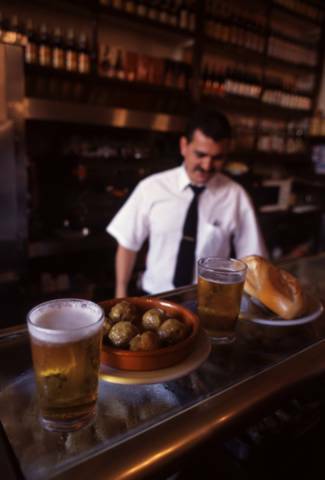 Beer and tapas across from Madrid’s ornate main post office, between the Plaza de Cibeles and the Puerta de Alcalá. Cervecería El Barril, Goya 86. 91 578 39 98. 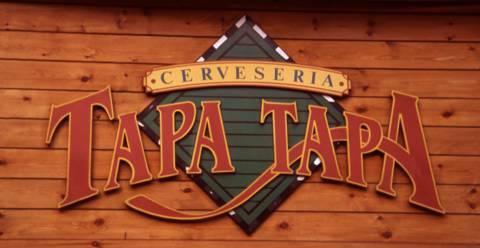 A cervecería specializing in seafood tapas. In the Goya metro area near the northeastern side of Retiro Park. Cervecería Los Clarines, Bocángel 2. 91 356 98 59. A taurine-motif beer bar near Las Ventas, Madrid’s bullring. 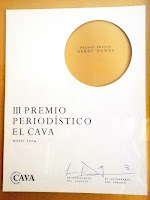 Cervecería Juan Bravo 25, Juan Bravo 25. 91 411 60 25. 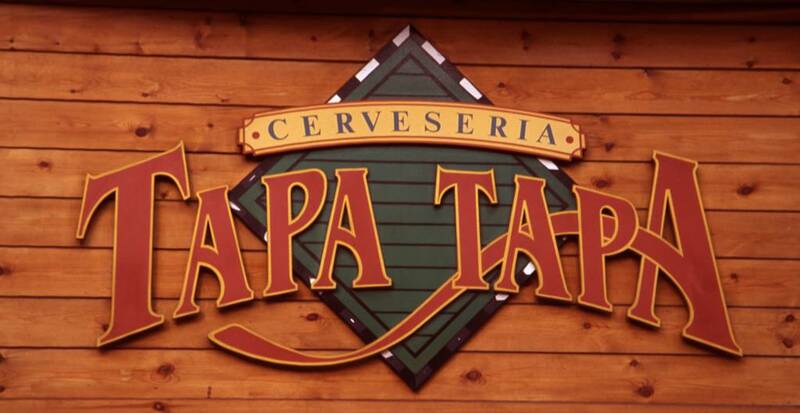 An excellent cervecería/tapas bar/restaurant with a wonderful curving bar, good beer, good tapas, and good ambience. Cervecería Oldenburg, Alburquerque 13. 91 447 42 72. Guinness Book of World Records, most beers in the smallest space. 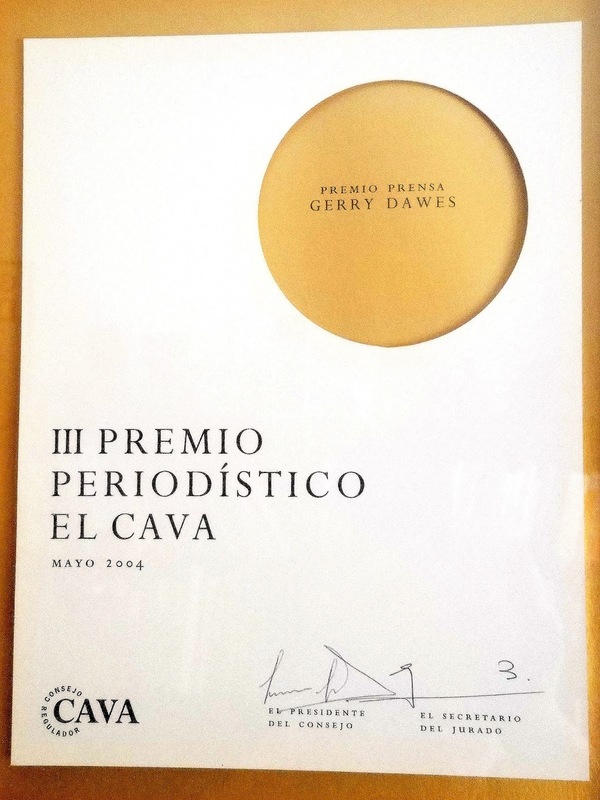 Cervecería El Doble, José Abascal, 16. 91 448 20 33. 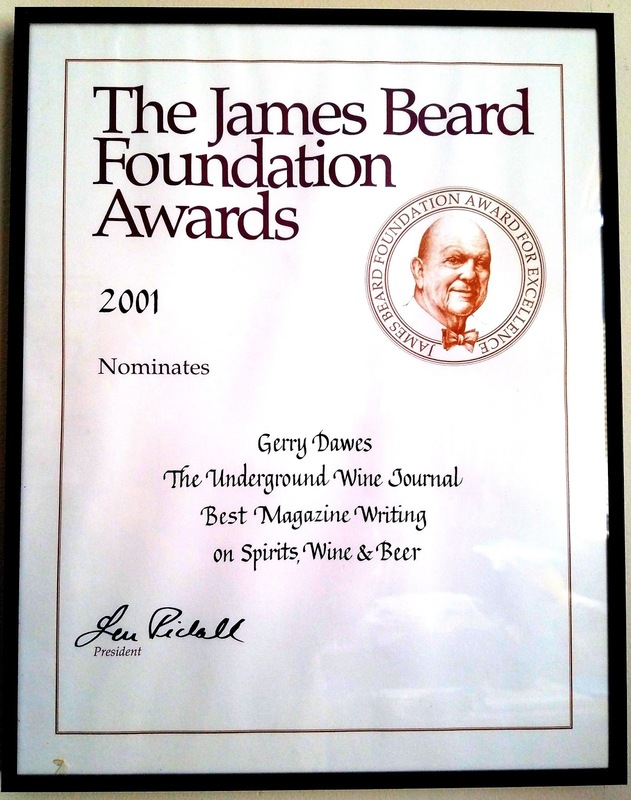 A sign here says, “Beer Drawn by the Old System,” basically slow-drawn draft with good tapas and great bullfight pictures on the walls. Cerveseria Tapa Tapa, Passeig de Gràcia 44. Two long curving bars, scores of tapas with a picture guide to identify them and good German beer on draft. In the Eixample on Barcelona’s Madison Avenue, Tapa Tapa is near some of the modernista architect Antoni Gaudí’s finest buildings. Wow this post is brilliant! im going to Spain soon with a bunch of friends, my sister just got back and i think she mentioned La Cañita.